Sydney Shop Girl: SSG Will Be In Japan. Harajuku Is In Sydney. Pre Flight Tension. SSG Will Be In Japan. 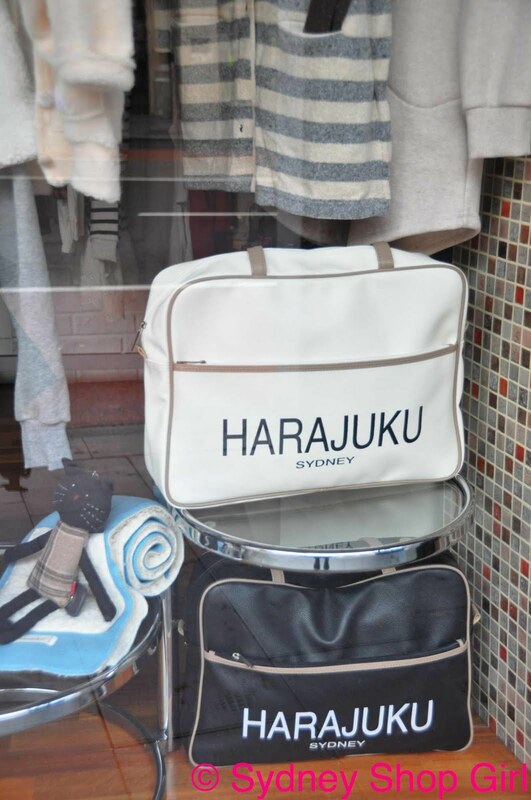 Harajuku Is In Sydney. Pre Flight Tension. It turns out that there is a little bit of Tokyo in Sydney after all. I found this shop in Chinatown the other day. I had great plans to do all the laundry today but was thwarted by the rain. The wet weather was a great excuse to get a whole list of indoor type activities done. 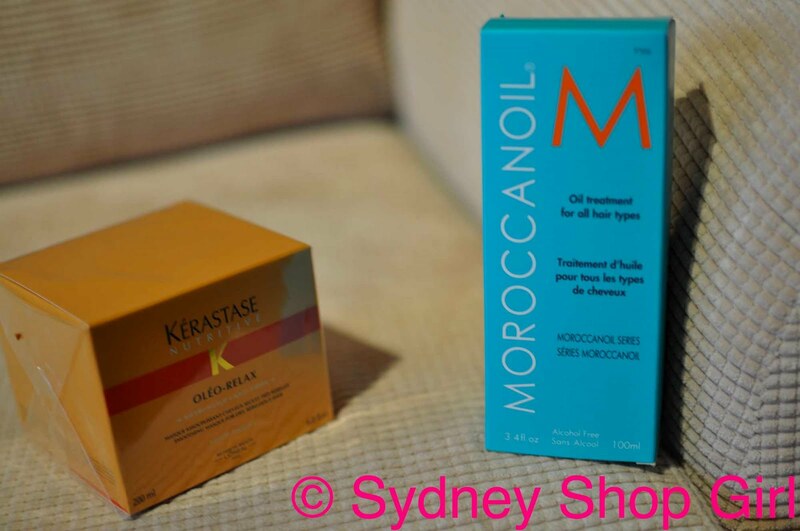 I emerged from the hairdresser's after 4 hours with pin straight, inky black hair, back up hair treatment and a new fangled product called Moroccan Oil. I suspect it's been around for a while but I've been in the world of Pantene for the last 6 months. I will report back on the Moroccan Oil after Japan. It smells rather nice. 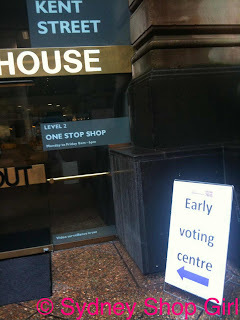 It wasn't all self absorbed pampering today, I used my vote and went to the early voting centre behind Town Hall. It was a very pleasant experience and I was surprised at how busy it was. The volunteers were very helpful and the security guards were all kindly redirecting people like me who were unable to read signs and got lost a few times. You know how I thought my bag weighed only 16 kgs? I found stuff to add a few kilos to that miraculously low figure I had in my mind. Cheap and lightweight flats in case it gets wet. They are from Rubi, the Cotton On shoe brand. 2 pairs for $25. 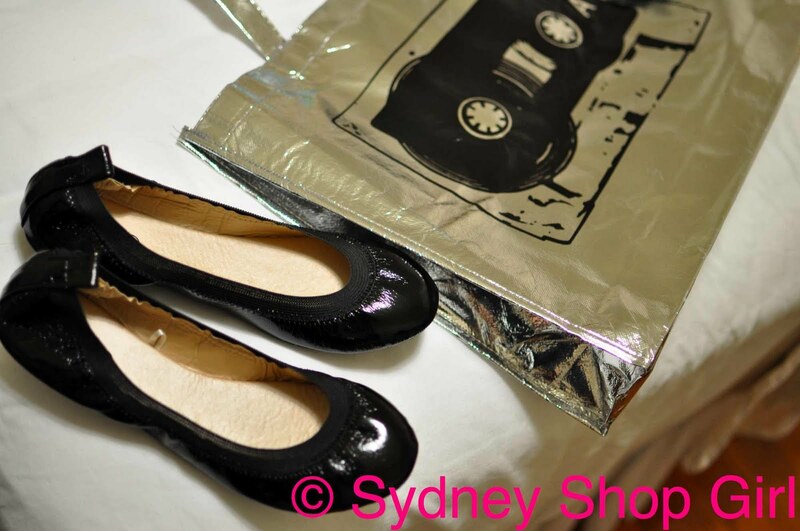 Don't fret, I didn't pack the second pair (white with black elastic trim)! I found that zen meets flashdance outfit I tried on the other day. Black drop crotch pants and khaki mesh top. It's going to be my temple and onsen visiting outfit. 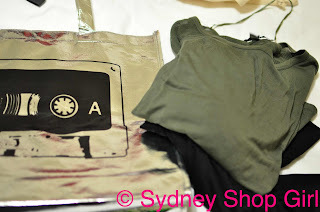 Accessorized with a pair of plakky bangles I also found and the silver charity bag (all cotton on) - I may meet the dress code in harajuku? Red lipstick may help. I got home and weighed my bag and it was actually 20.6kg. Perhaps I should have fed it my detox juices. Panic and shocked disbelief ensued. I repacked my bag with the bathroom scales next to me, weighing every item that I planned to leave behind. I looked like a drug dealer getting it right to the last gram. Why is it that my Asics Gel Kayanos weigh 0.7kg yet the Louboutin Hyper Prives weigh only 0.3kg? I thought the reverse would be true. Why is fitness such a heavy enterprise? Perhaps walking around in the heels could be a work out in its own right. Never mind, they're both coming along. That's 1kg I'll not be sacrificing. It's all good now. We're all packed and the house is in hibernation. Bins emptied, every possible appliance unplugged. Just to be extra cautious, the kettle is glad wrapped over against any ants. The magimix kettle is not going to be surrendered to an ant invasion whilst I am away. It's time to set off for the airport. I actively try to get there as early as possible. I love the departure area of airports. Possibly because I don't travel internationally that often. I'm trying to persuade Mr SSG that the renovated Terminal 1 at Sydney International Airport has some great dining options. After my valiant efforts with weight conscious packing - I think pre flight drinks are in order. I hope you all stay safe and happy. I look forward to catching up on all the blogs and comments when I return in 2 weeks time. Bon Voyage! Have a fabulous holiday you lucky duck! Oh, the new Terminal 1 is very cool. Loads of dining options and plenty of shops to keep you busy. Other than being an early freak, afraid of missing my flight, I think a good variety of shops fills the time nicely. Have a wonderful trip! I can't wait to hear all about your adventures! Thsnk you everyone for your kind wishes. We are having a fabulous time in Tokyo. I think the Shangri-La could be my home away from home. I don't know how I'll ever leave. Tokyo is one amaxing city. Heaps to write about and lots of photos too!! Hope you are having a great time in Japan. It is my most favourite place in the world. Hopefully it isn't too hot. You'll love the real Harajuku as it is such a cool place. Plenty of photo opportunities as it is fashion on steroids! I could people watch there all day. It really is something. The department stores in the Ginza are also to die for. Have fun! !